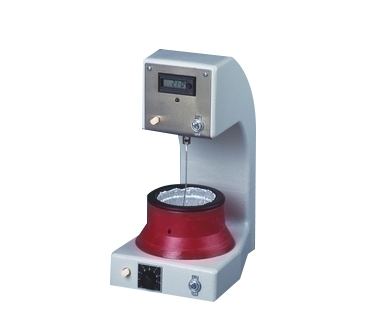 These gel timers are perfect for determining the gel time of resinous plastics, adhesives, crying oils, two component elastomers, and paints. A low torque, synchronous motor rotates a specially shaped stirrer in the catalyzed resin or elastomer. As gelation occurs, drag exeeds torque and the motor stalls. This signals an electronic circuit which stops the clock and activates a flashing lamp. The gel time will show on the LCD display. “StablTemp Hot Pot” model determines gel time at temperatures up to 350 °F with an electronic proportioning control which regulates the set temperature with virtually no drift or variation.